Most Popular Sign Hardware | See What Others are Buying! 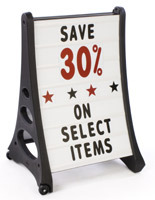 23" x 14-1/4" x 1-3/4"
No matter where you go, you can't help but notice these best selling sign supplies. 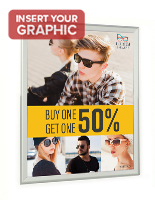 Stop by your local drugstore and you'll see a sidewalk sign placed right outside the front door advertising a particular sale for that week with a glossy, printed poster. How about your favorite clothing boutique? These sign supplies are seen there as well displaying large posters with life sized models hanging right in the front windows. Even the plaque outside an office suite has sign making equipment there helping to keep it attached to the walls. They are sometimes the first thing a potential customer notices about a business. 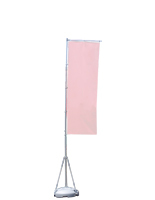 These sign supplies, also known as wholesale sign making equipment, have become such a part of our daily lives that they are a familiar sight to all of us. However, if you're starting a business, you want signage that will catch the eye of every customer and passersby that comes by your store or office. 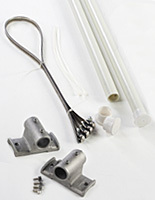 At SignSupplies2Go.com we have the sign supplies and sign making equipment that can help you all at wholesale prices! What, exactly, is classified under the term 'sign supply'? 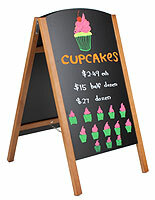 A-frame and sidewalk signs display printed posters, changeable letter boards, or hand-written messages for advertising out in front of your establishment. 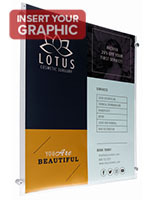 Aluminum standoffs mount sign panels to walls in an elegant yet affordable fashion. 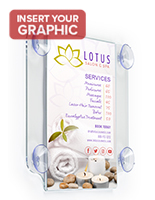 These sign mounts are available for purchase in many materials and finishes, not to mention sizes too. 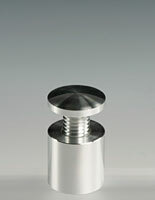 Each unit includes four standoffs for mounting one panel. 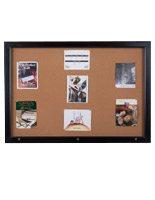 Corkboard displays are secured behind a locking frame with rubber gasket to keep water out and your messages protected inside. A marker board with wet-erase, neon colored pens that hangs on an interior wall is most certainly a great sign for temporary messages. See that "OPEN" LED display hanging from the front door of the nearby convenience store? Those are lighted signage as well. The metal snap frames for the large posters mounted on the walls of the movie theatre that make for easy and fast image changes are a great piece of sign making equipment. There is a snap frame for every use! As you can see, so many familiar and useful merchandise make up the category of signage equipment. 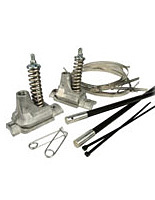 The list above is only a small selection of the products we have to offer on the website. 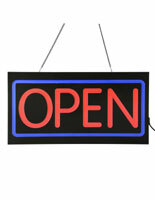 Our best sellers page, however, is a great place to start investigating signage for your business. This page collects the most popular and most frequently ordered products together in one easy to navigate section. 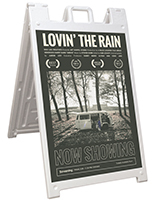 The selection above has many useful merchandise listed from outdoor signs, standoff supplies to mount a panel, polyethylene A-frames, and more. These signs can be found in stores and offices all across the country. 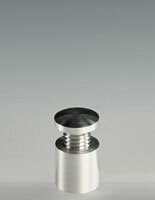 Every piece is useful and is also easy to use, another reason for their popularity. Why not take a look above and see what we have to offer? We have something for everyone. Who uses this signage equipment? A store with a sidewalk and a good amount of pedestrian traffic could invest in one of our outdoor signs for an additional advertising boost. 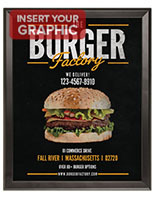 Fast food eateries use the snap open poster holders to display promotional graphics, and then change them out quickly and easily for the next promotion. 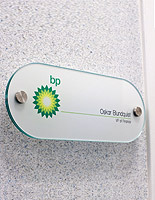 Business professionals occupying office suites often need wall and door signs to help visitors as well as employees navigate their room designations. 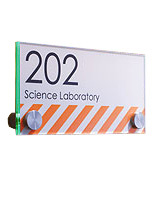 We offer affordable DIY printable office wall signs that look great in any interior environment. 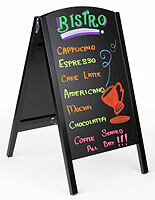 Restaurants, cafes, and bistros can use a wet erase board to keep diners appraised on daily specials and featured menu merchandise. The great thing about a wet erase board is that a gentle damp cloth can remove the ink, easily leaving a clean slate for you to put the next day's specials on! 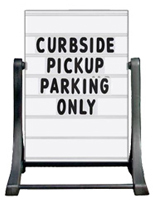 Again, that's only a partial list of who can use sign frames, sign standoffs, and sidewalk signs offered in our online catalog. The variety is wonderful, and there's something to fit every budget as well. 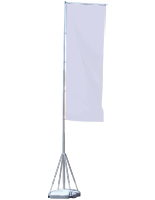 For those looking to buy in bulk, our product pages display convenient volume price breaks for immediate savings. Most items are stocked for same day shipping when purchased before 3PM EST.